As a boy, Steven Kellogg loved making up stories for his two younger sisters. While he engaged in storytelling, he always had a stack of paper with him and scribbled pictures to accompany his tales. He literally called this activity “telling stories on paper." He continued his drawings through school and later attended the Rhode Island School of Design, majoring in illustration. He also spent a fellowship in Florence, Italy. Continuing his education, he taught at American University and in his spare time submitted picture book ideas and illustrations to a plethora of publishers. This led to a full-time career dispersing his books and pictures to a large audience of readers. He enjoyed the work to which he was committed. Kellogg lived in the hills of Connecticut with his wife and six stepchildren. He also shared his residence with numerous dogs and cats, as Steven has been intrigued with animals. His beloved Great Dane, Pinkerton, inspired him to write books about this dog and many animal friends. Other ideas for his books came from a variety of sources and life experiences. Use the book suggestions below to extend studying about this author and declare it “Steven Kellogg Day" in your classroom. 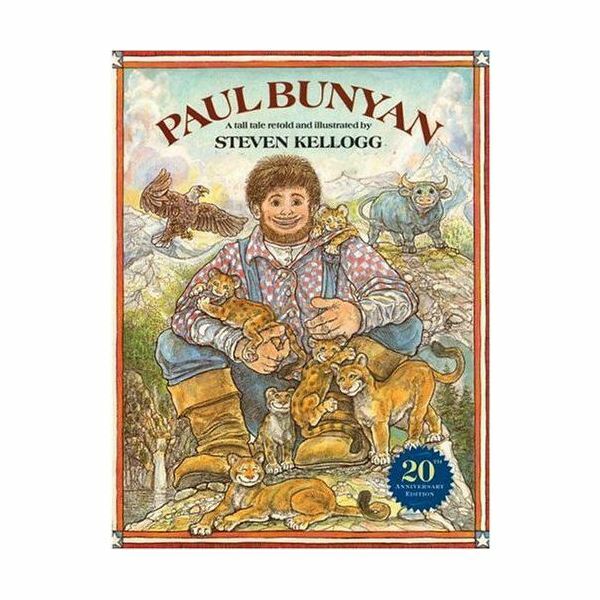 You will see Kellogg’s love of animals as well as his playful sense of humor that shines through in his many books that feature these creatures. This is a real-life story of his Harlequin Great Dane, who had behavioral problems. Kellogg wanted to tell the world how he survived the day-to-day life with this mischievous dog that he loved so much. 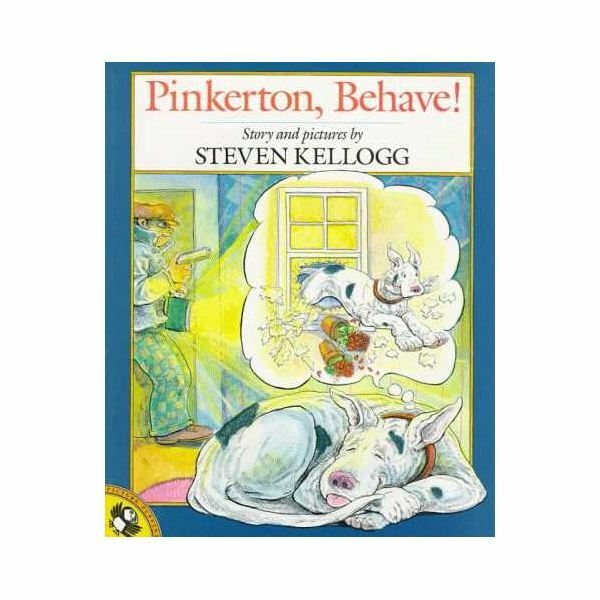 Pinkerton became a character involved in a series of books that included other animal friends. This story is about an orange cat Kellogg found who had a chaotic relationship with Pinkerton. Kellogg used these two pets to write a series about the animals that children around the world have enjoyed. His books have been translated into numerous languages. This story started with a holiday called National Rodent Day with a bunch of mice wanting to participate in a party, but instead having to escape from a hungry cat at the local butcher shop. Steven Kellogg also illustrated some famous books including Is Your Mama a Llama? By Deborah Guarino; Engelbert the Elephant by Tom Paxton; and The Day Jimmy’s Boa Ate the Wash by Trinka Hakes Noble. Steven Kellogg has a distinctive artistic style that is characterized by detail, humor and exaggeration. This made Kellogg one of the few artists who capture the outlandish, high-spirited nature of the characters in American tall tales. He created his versions of the following stories: Mike Fink, Paul Bunyan, Sally Ann Thunder Ann Whirlwind Crockett, Pecos Bill and the infamous Johnny Appleseed. Kellogg also illustrated Library Lil by Suzanne Williams. Steven later recreated his favorite fairy tales told with his own humor, zest and energy. He went on to author Chicken Little, Jack and the Beanstalk and The Three Little Pigs, later illustrating The Great Quillow by James Thurber. Folk songs have a way of getting us to clap our hands, snap our fingers and tap our feet. 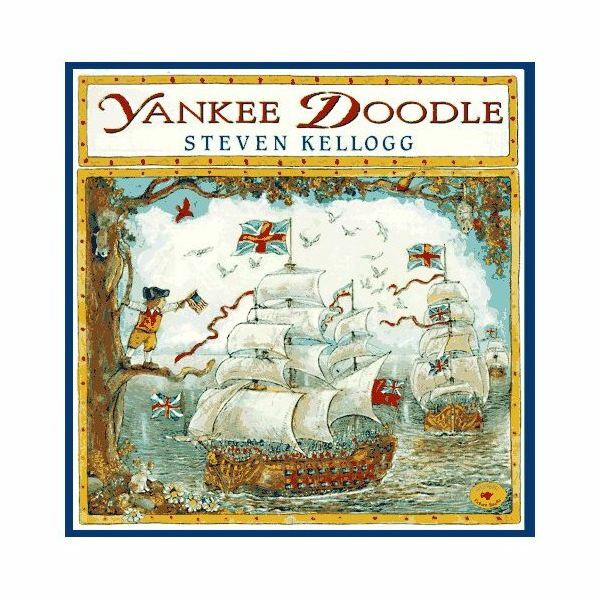 The following books share Kellogg’s version of several of our famous folk songs retold in picture book format, including Yankee Doodle, A-Hunting We Will Go and I Was Born about 10,000 Years Ago. As you embark on your Steven Kellogg author study, provide many of his books and illustrated stories for your students to browse and read. Having his books on display in the classroom will enable the kids to get to know his work firsthand. 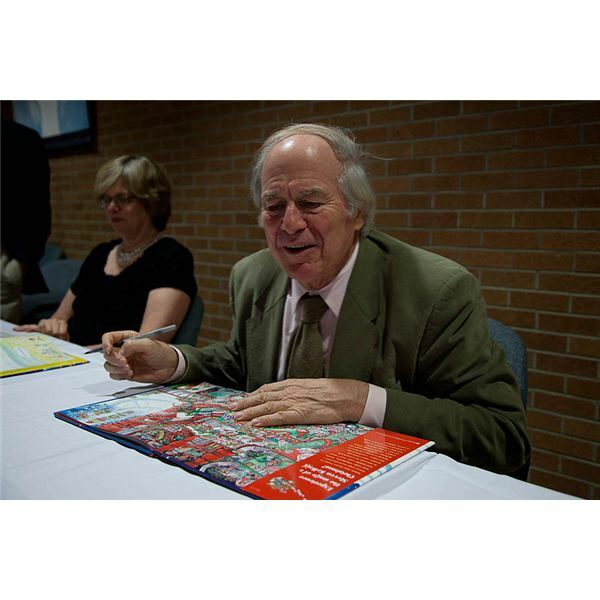 Also, visit his website for more information about this author and his books, including an interesting video taken during the National Book Festival in 2009.